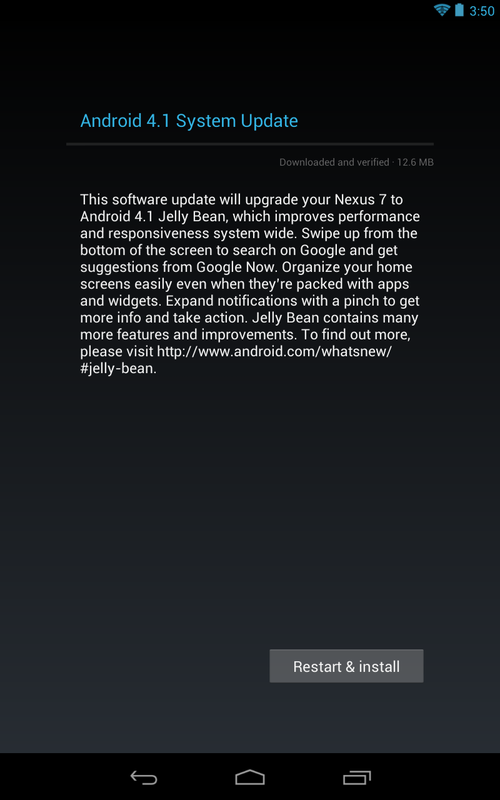 The Nexus 7 just got prompted for a 12.6MB update within the last couple of minutes. We aren’t exactly sure what is included just yet, but once the install completes, we will let you know. I have a feeling that it dumbs down Search. 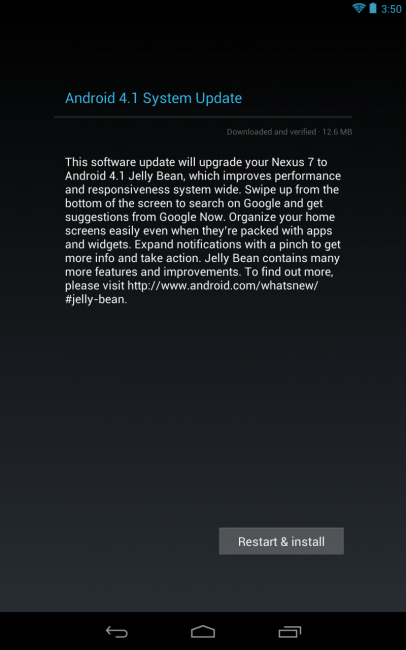 For those that attended Google I/O, pop into Settings>About>System updates and pull it. 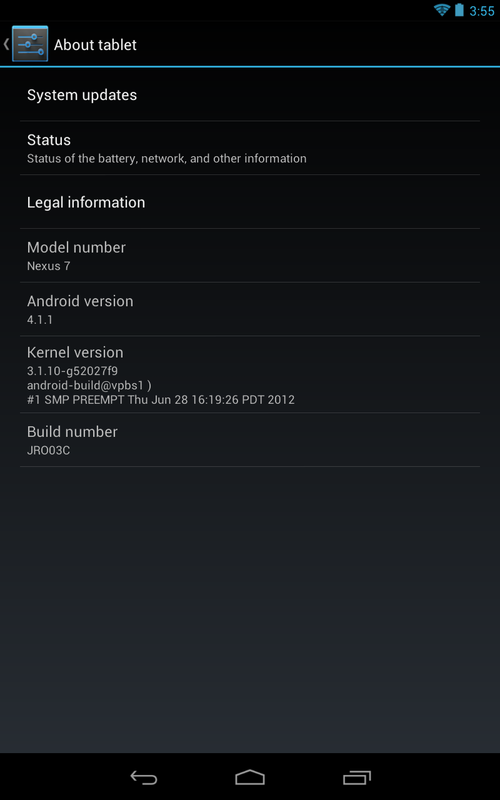 It’s Android 4.1.1, but we aren’t sure if there are any new features. It appears to be no more than a minor bug fixer. The build number is JRO03C.